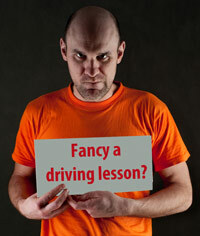 Are you stuck using the ‘old skool’ way of advertising and marketing your driving school, e.g. leaflet drops, advertising in shop windows, local newspaper and magazine adverts, Yellow Pages, Thomson Local? This type of marketing has its pitfalls – it can be very expensive to advertise in local media and directories and very time-consuming to traipse around your town delivering leaflets and postcards. Let’s face it, leaflets are generally perceived as more of a nuisance than a help to homeowners, so they might actually do more harm than good! If you are using these strategies and you are seeing a good return on investment – great! Keep doing it. But if you’re looking to further increase your client-base and pupil numbers, definitely take a look at Facebook. It’s easy, accessible from your computer or mobile devices, and (for the most part) FREE! 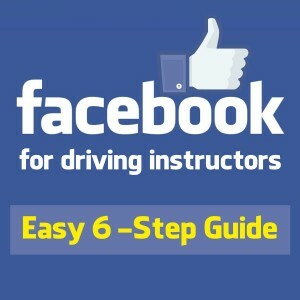 We’ve found that having a Facebook page for our driving school is one of the most significant factors in boosting our online presence within our target market. It has been a huge factor in us building a highly successful driving school with 23 instructors, all of whom have full diaries. 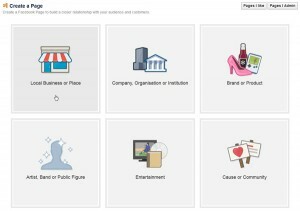 So what can you do and where can you get started with Facebook? Having a Facebook business page is a great way of marketing but it isn’t just about marketing you and your brand. It’s about building trust, engaging with present and future customers and positioning you as a respected and successful instructor or driving school. When using Facebook, your aim should be to educate, inspire, share stories and post valuable, relevant content. Then every now and again, promote yourself – post a special offer, post photos of pupils that have recently passed with you or your driving school. Many driving instructors use their own personal profile as a marketing tool instead of having a separate business page. That can work quite well, but you need to understand the pitfalls of doing so, especially if you have not correctly set up your privacy settings to control which groups of your friends can see your content. I personally use both my personal profile and my business pages for work. But the friends on my personal profile are allocated to specific groups, so I can control who sees what. When I post content or photos relating to something personal about holidays, nights out or my children, for example, ‘Family’ and ‘Close Friends’ see everything I post. ‘ADIs and PDIs I know’ see a little less. ‘Other ADIs and PDIs’ see less still. Those listed under ‘Restricted’ and ‘Limited Profile’ see very little at all. And last but not least, those listed under my ‘Weirdos’ category won’t see any of my non-public content at all! There are also many advantages of using a Facebook business page – insights, customer star ratings, reviews and advertising being just a few. For a list of 14 benefits of a Facebook Business Page over a Personal Profile, take a look at this excellent article by Jon Loomer. With more and more people accessing Facebook on their mobile, and especially our target market of 17-25 year olds, can you really afford not to put your face on the book? In the Facebook header bar, click on the drop down arrow on the far right and click ‘Create Page’. It’s probably best to opt for a ‘Local Business or Place’ as you will be wanting to let people know where you are based. Although your address will show on your page, you don’t have to add your house number if your work address is the same as your home address. On the category dropdown list, just opt for ‘Local Business’ for now. Complete all your details and click ‘Get Started’. On the next page, you will be prompted to provide some more details about your business. You can now select ‘Driving School’ from the category section, complete the ‘about section’ and add in your website address. 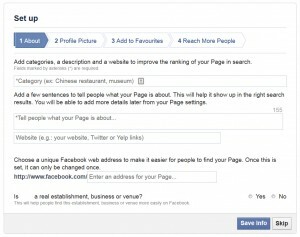 Also on this page, you can choose a unique Facebook web address to make it easier for people to find your Page. Make sure your URL has your driving school name, not just the default Facebook generated URL. 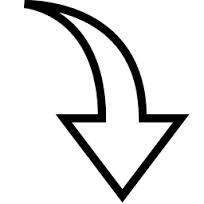 Your Facebook address should be formatted in the following way: www.facebook.com/yourdrivingschoolname. This will make it easier for your customers to find you on Facebook and it will help with your search engine optimisation (SEO) as Google ranks Facebook highly. For this reason, don’t be surprised if your Facebook business page appears above your main website in searches. This is great news if your actual website doesn’t rank highly just yet! Choose an appealing profile picture. A smiley picture of you in your car will appeal to potential customers. People buy from people so make your page as personable as possible. Using your company logo isn’t usually a good idea – your potential clients aren’t interested in a logo – they want to see who they are going to be buying from. If you’re photo-shy or perhaps feel your photo might turn potential customers away, then perhaps use a photograph of a happy pupil, smiling broadly with their driving test pass certificate. Please don’t be tempted to rip a photo from Google images or use a stock photo – your profile image is your first point of contact from which your potential customers will glean their first impression. Make sure it’s a good one! Once your business page is set up, make sure you link your personal profile page to your business page. Then if people find you using your name, they can easily click through to your business page. To do this, go to your Facebook personal profile, click on ‘About’ and add your new page to ‘Work and Education’. Then on your personal profile, your business will be displayed in your about section and people can click straight through to your business page from your personal page. Make sure you also utilise the ‘About’ section on your business page. Let potential customers know that you can offer what they want. The about section also lets you add hours of opening, a contact number and links to other social media sites that you may use (Twitter, Pinterest, Google+, Instagram, etc). Make sure you include links to your company website. So that’s how to set up your Facebook page in 6 easy steps. Easy, wasn’t it?! 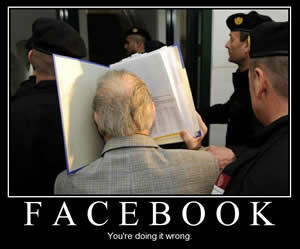 The next step is to start using your Facebook page to grow a fan base (‘fans’ being people who ‘like’ your page). Don’t worry if your ‘likes’ don’t grow overnight. It’s more about QUALITY than QUANTITY. The key is to grow a fan base of people in your coverage area who match your target market. This won’t happen by itself and you will need to invest some time into growing your business page. Look out for our upcoming article on how to build ‘likes’ and use your new Facebook business page effectively. There’s so much you can do with Facebook. We haven’t even touched on insights, apps and Facebook Ads yet! What have been your experiences with Facebook? Have you been using it actively and what results have you got? Please post your comments below so that others can benefit. Finally, if you liked this article, please share it by clicking one of the buttons below! What a useful page on Marketing! although I am still training to be an ADI, I am using information like this, to store and come back to, when I am getting ready to start up etc. Thanks again for the work you do for us. All the very Best! Facebook is undoubtedly one of the most essential marketing tools for any adi who wishes to tap into his main customer base.